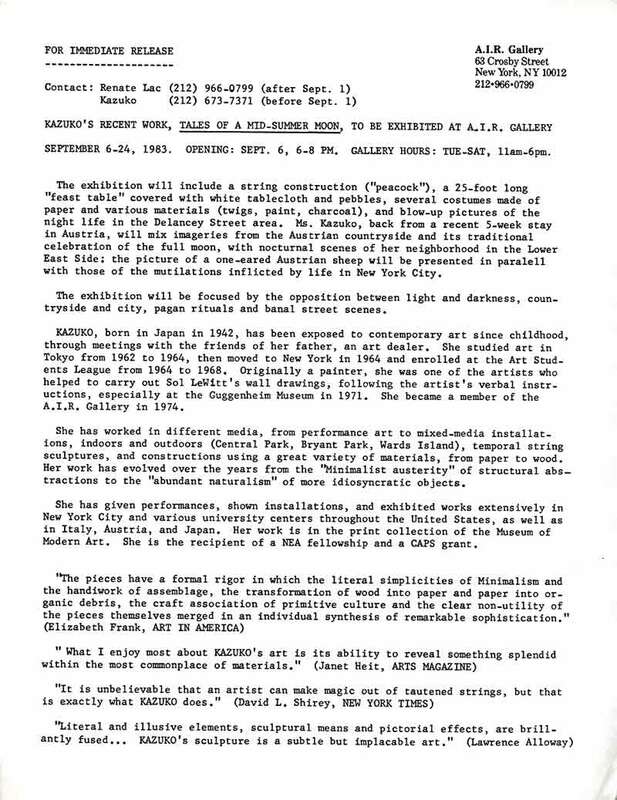 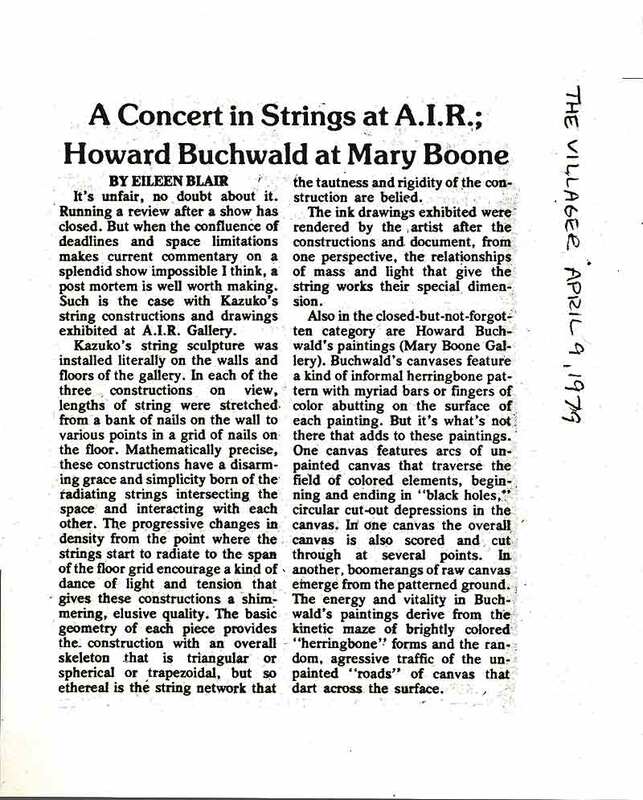 Exhibition press release for solo show at A. I. R. Gallery, New York City, from Sep. 6-24, 1983. 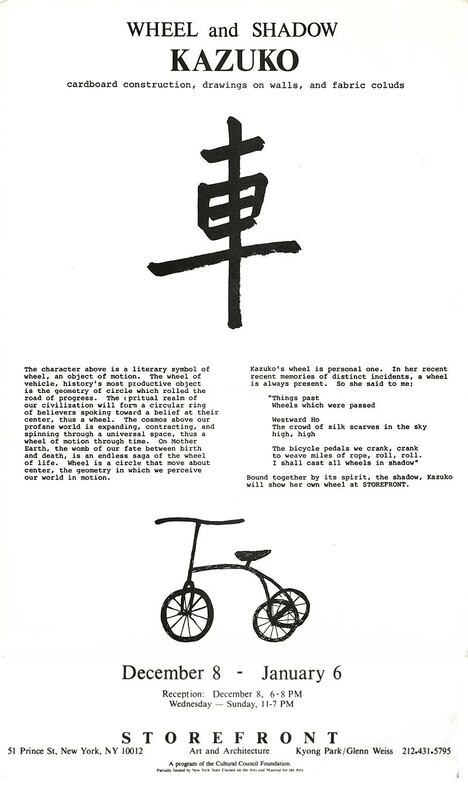 Exhibited works: "Tales of A Mid-Summer Moon" "peacock" "feast table"
Exhibition flyer for "Wheel and Shadow: Kazuko" at Storefront Gallery of Art and Architecture, New York City, from Dec. 8-Jan. 6. 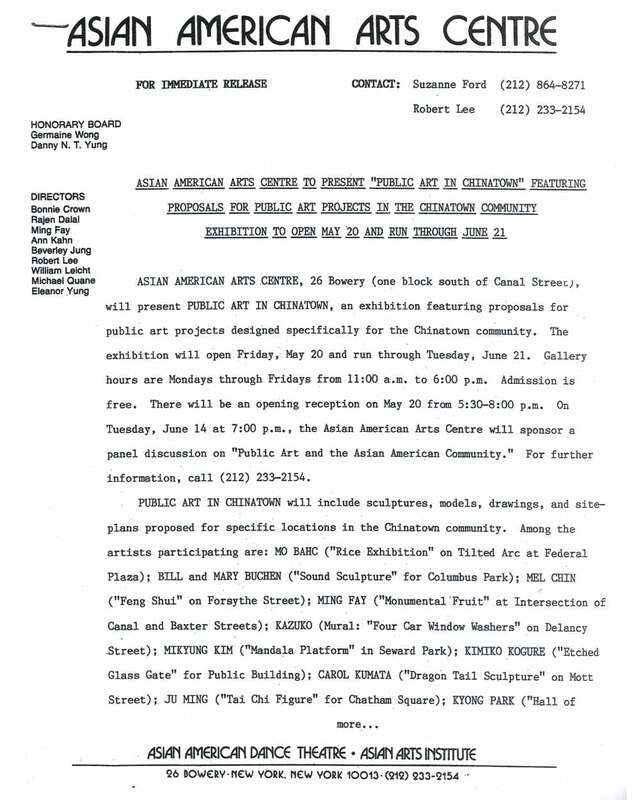 Exhibition press release for "Fathers" at Asian Arts Institute, New York City, from May 30-June 25, 1986, with artists Tomie Arai, Santiago Bose, Fay Chiang, Bob Hsiang, Arlan Huang, Kazuko, Hugo Kobayashi, Anna Kuo, Yong Soon MIn, Tetsu Okuhara, Kunie Sugiura, Lisa Suzuki, Alvin Tada, Mary Ting, Xing Fei, and Zarina. 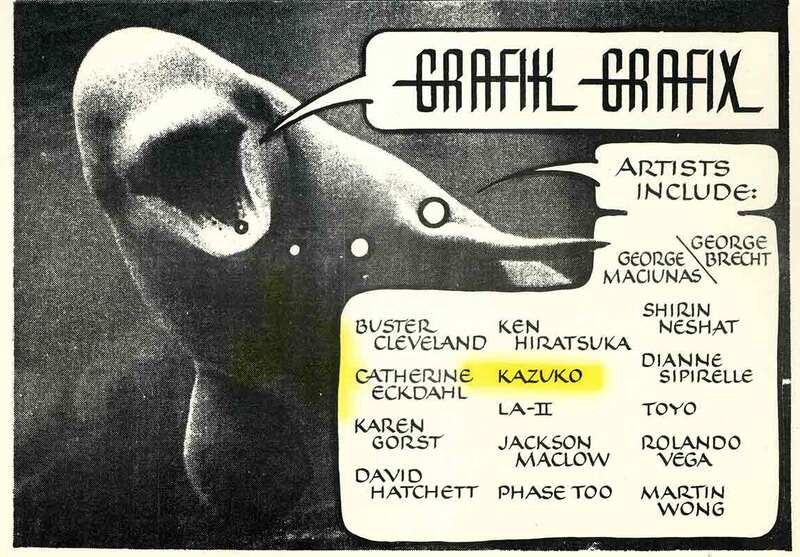 Exhibition postcard for "Grafik / Grafix: Celebrating Asian Heritage Month" at Triplex Gallery, New York City, from Apr. 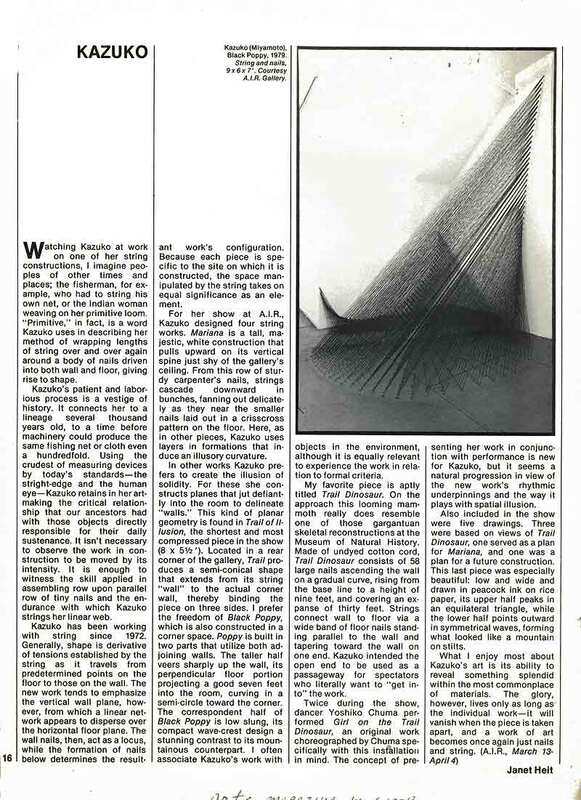 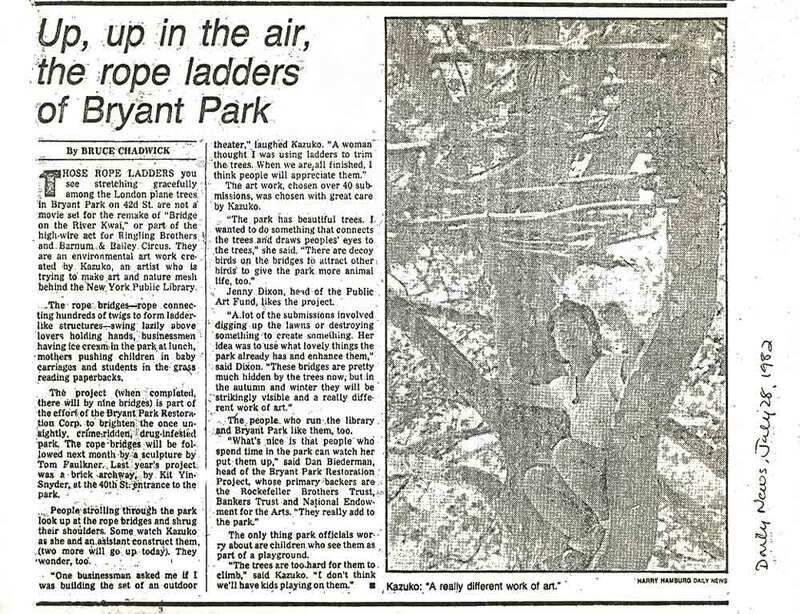 7-28, 1989. 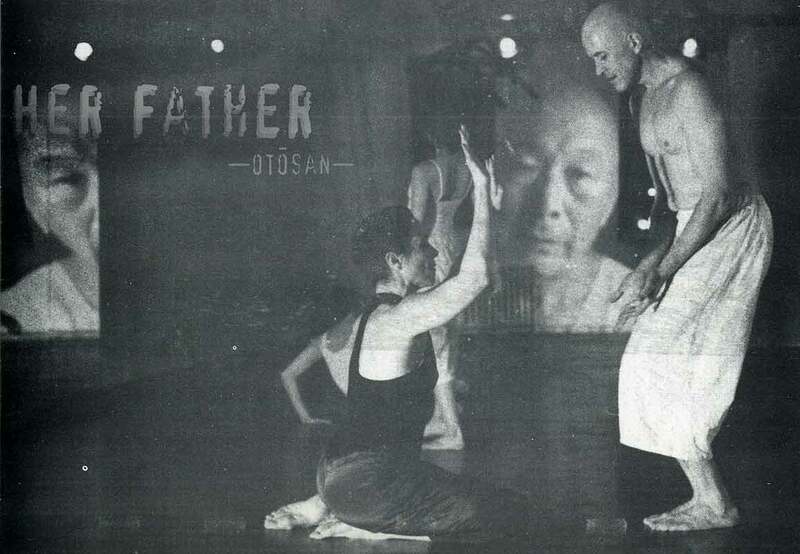 Exhibition postcard for "Her Father: Otosan" at Tenri Gallery, New York City, from Jul. 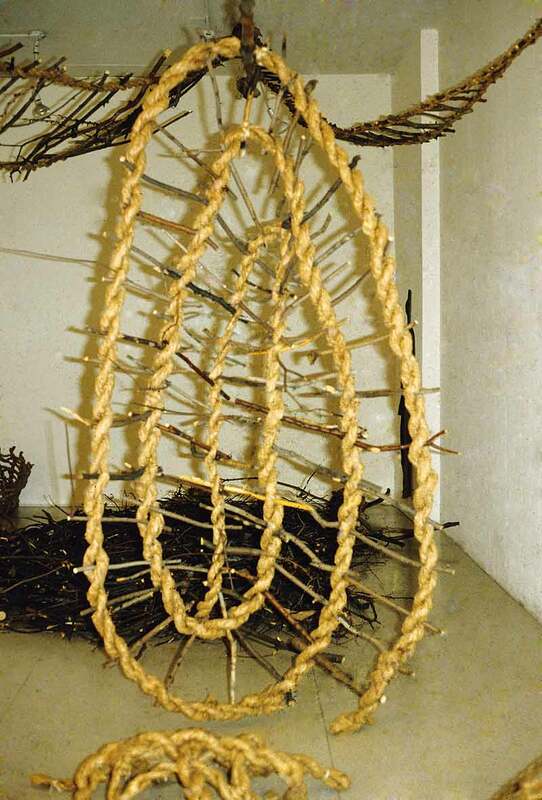 23-24. 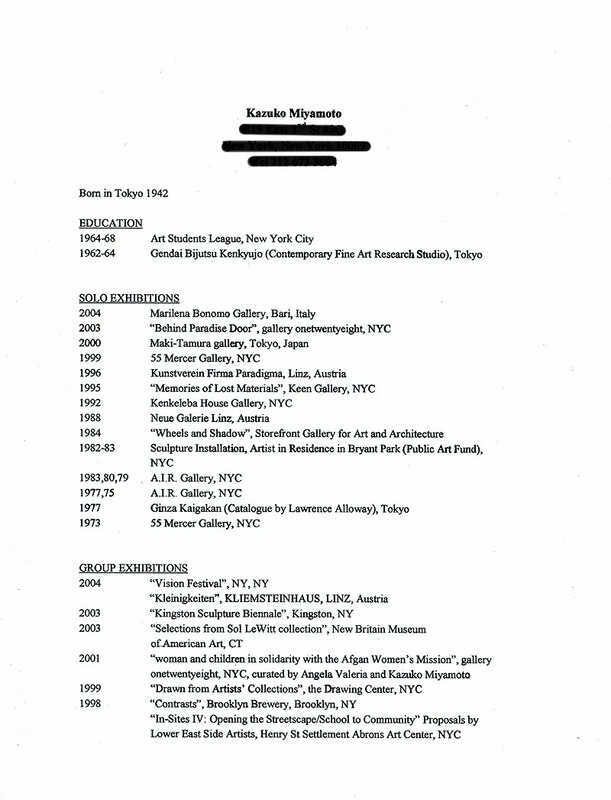 Flyer for performance "Gatto in Kimono" at Galleria Bonomo, Bari, Italy, on May 14, 2004. 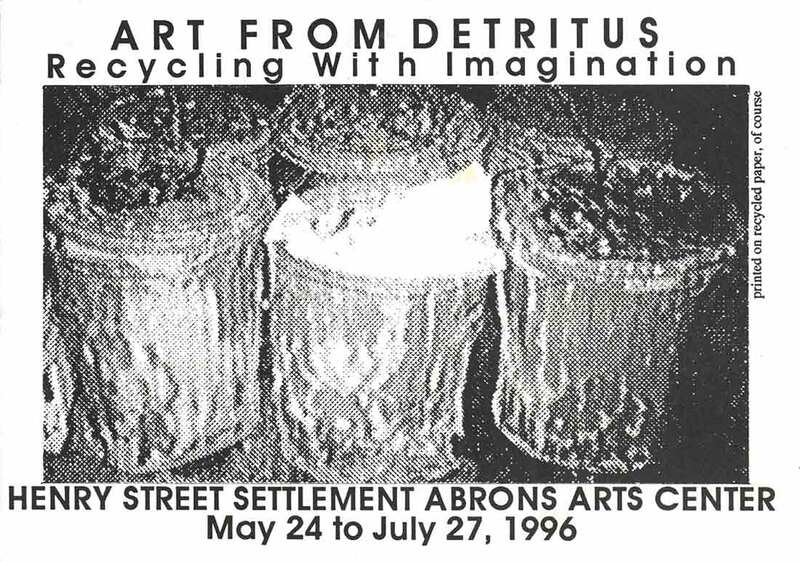 Exhibition postcard for "Art from Detritus: Recycling With Imagination: An Exhibition to Save the Planet" at Henry Street Settlement Abrons Arts Center, New York City, from May 24-Jul. 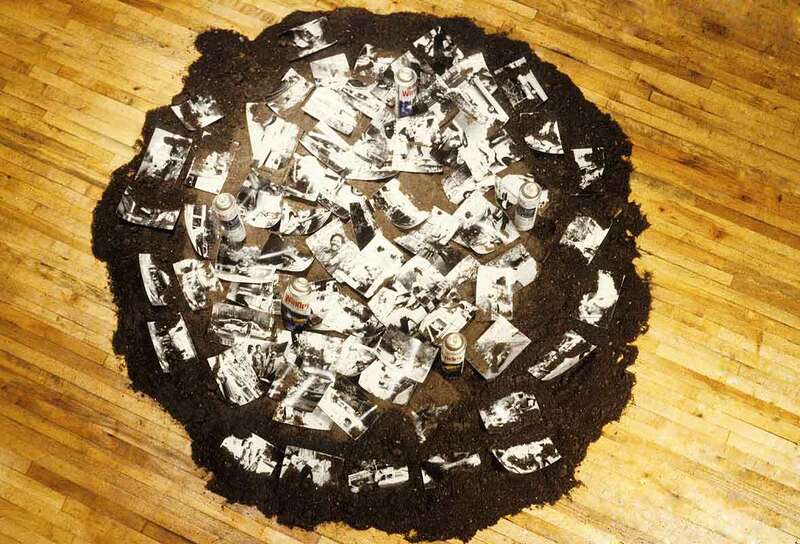 27, 1996. 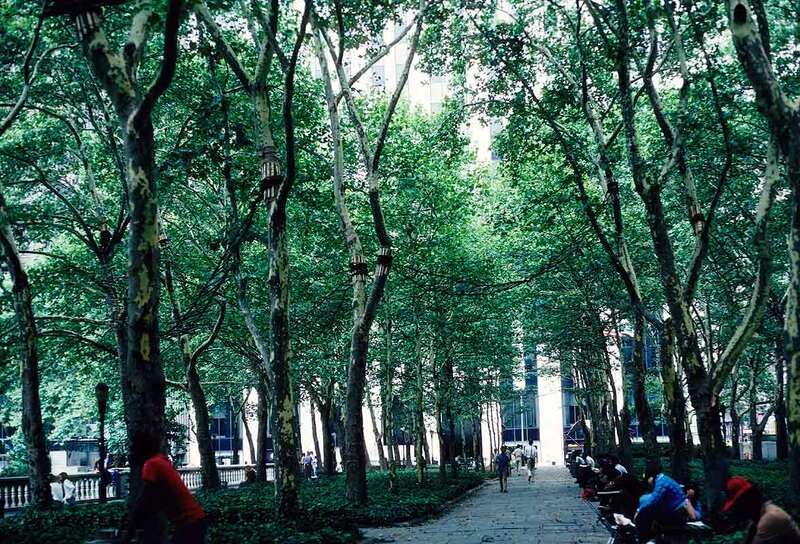 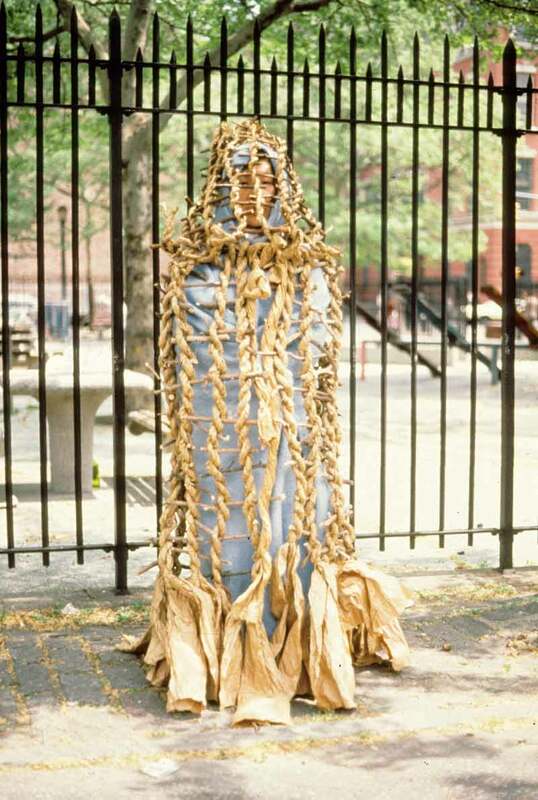 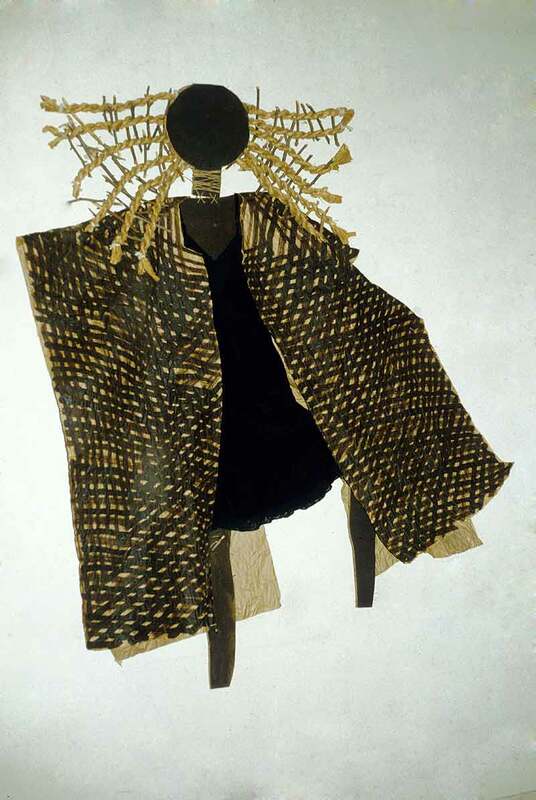 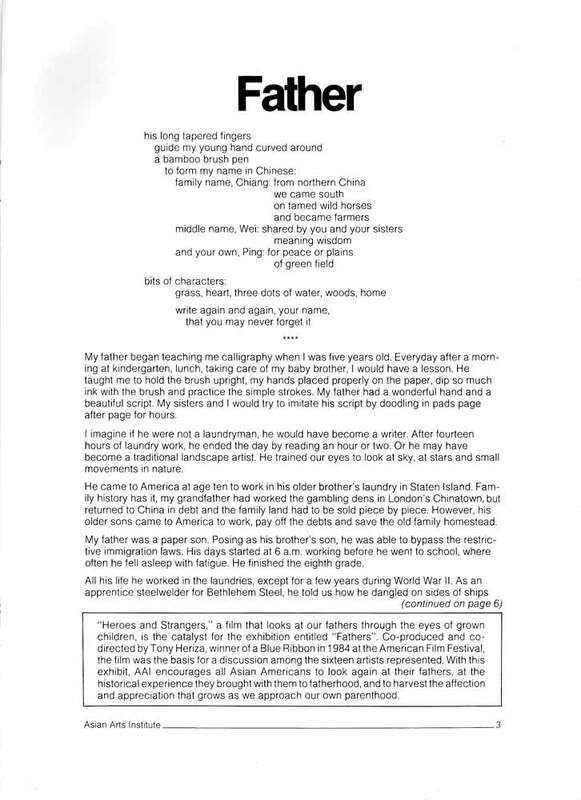 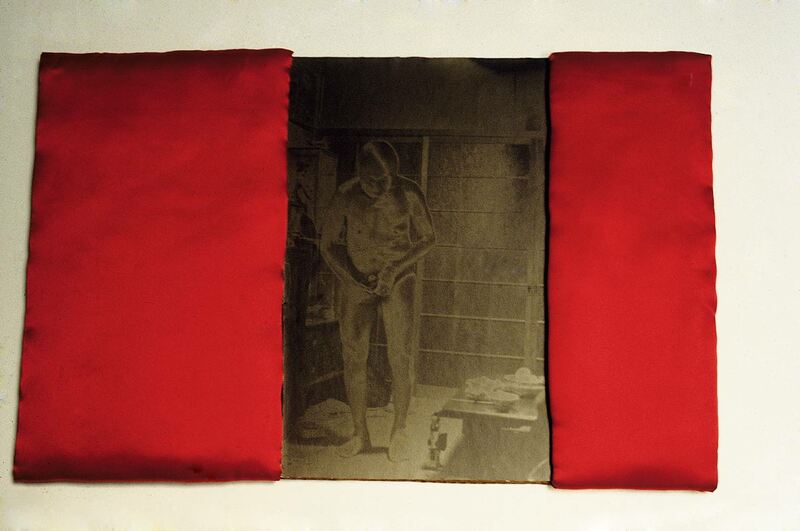 Excerpts from exhibition catalog for "Fathers" at Asian Arts Institute, New York City, in 1986, with artists Tomie Arai, Santiago Bose, Fay Chiang, Bob Hsiang, Arlan Huang, Kazuko, Hugo Kobayashi, Anna Kuo, Yong Soon MIn, Tetsu Okuhara, Kunie Sugiura, Lisa Suzuki, Alvin Tada, Mary Ting, Xing Fei, and Zarina. 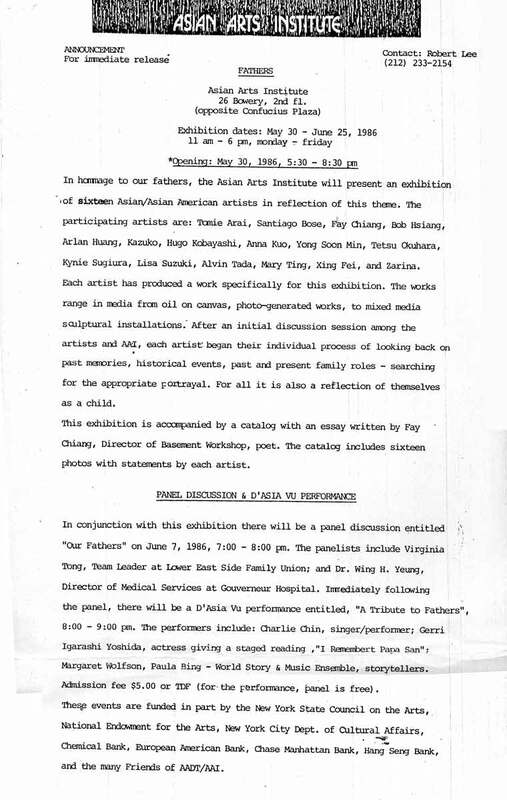 Exhibition flyer for "Fathers" at Asian Arts Institute, New York City, from May 30-June 25, 1986, with artists Tomie Arai, Santiago Bose, Fay Chiang, Bob Hsiang, Arlan Huang, Kazuko, Hugo Kobayashi, Anna Kuo, Yong Soon MIn, Tetsu Okuhara, Kunie Sugiura, Lisa Suzuki, Alvin Tada, Mary Ting, Xing Fei, and Zarina.